This post has already been read 1494 times! University of Nebraska at Kearney professor Sri Seshadri was recently named Rotarian of the Year for Rotary District 5630 in Nebraska. 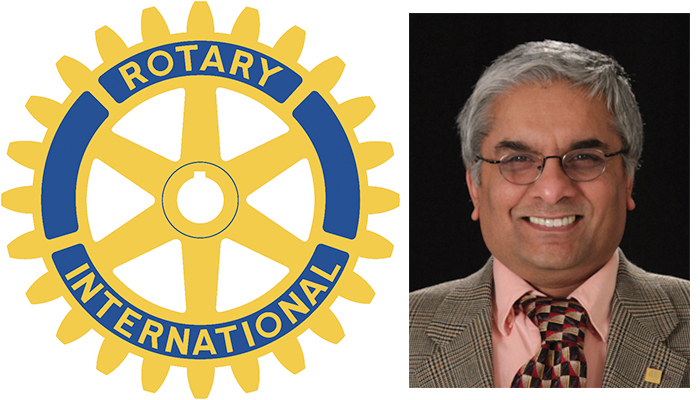 A professor of Management Information Systems and marketing at UNK, Seshadri is president of Kearney Dawn Rotary. He was chosen for the award out of 1,260 members in Rotary District 5630, which covers most of western and central Nebraska. Seshadri has been involved with multiple Rotary-sponsored service projects at the club, district and global levels. He was recognized for being highly engaged and taking on several active leadership roles within the district. Rotary focuses it service efforts in promoting peace, fighting disease, providing clean water, saving mothers and children, supporting education, and growing local economies.